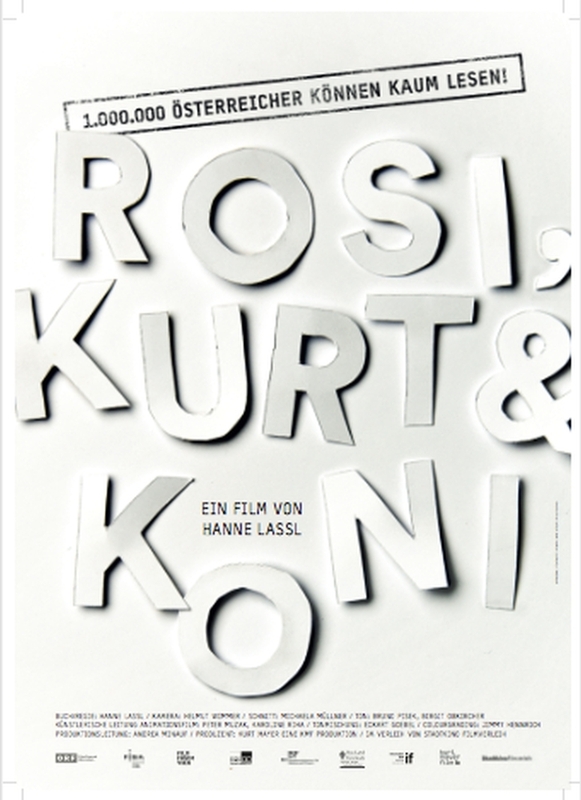 Rosi, Kurt and Koni are three Austrians who never properly learned to read and write; functional analphabets. 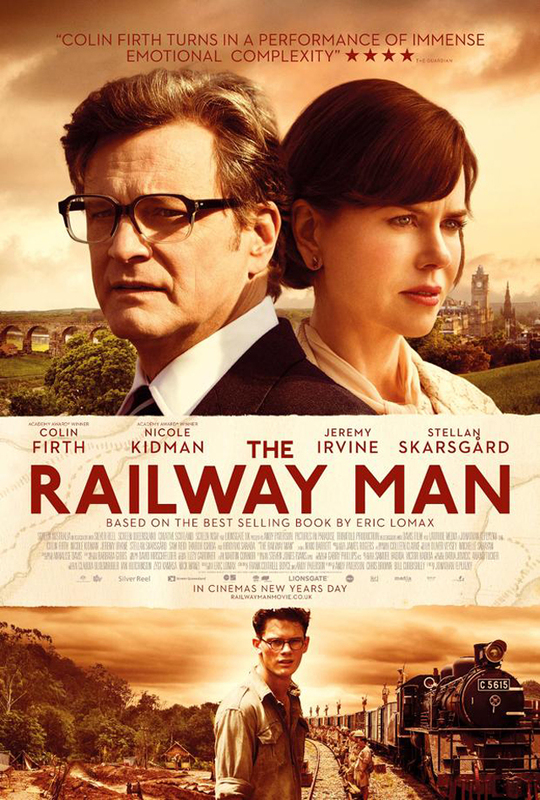 The movie chronicles their attempts to master those skills in their adult life and generally, how they navigate in a society that supposes that everybody can read and write, even though it is estimated that about a million Austrians (one eighth of our population) are unable to do so sufficiently. Rosi, Kurt and Koni chooses the personal experience of the three over expert interviews or research into hard facts. That’s what makes it especially fascinating, though I do admit that I sometimes wanted a little more meta information that we got. 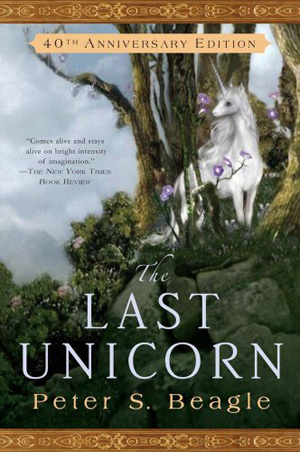 The Last Unicorn is a novel by Peter S. Beagle. The Unicorn hears that she is supposed to be the last in the world, the rest of the unicorns having been chased by the Red Bull. At first, she doesn’t believe those news and she decides to go looking for the others. But as she scours the lands, she doesn’t find them. Instead she hears more stories about King Haggard and his Red Bull. Joined by Schmendrick, a rather inept wizard, and Molly, a former robber, they make their way to Haggard’s castle to find out about the unicorns. Despite having seen the film about a hundred times already, I never read the book before. Which can only be described as a damn shame, especially now that I know that it really is one of the most beautiful books I ever read. Police chief Brody (Roy Scheider) moved to Amity Island in the hope of a calmer life with his family, although he doesn’t like the water. And he likes it even less when people start dying in it, apparently from shark bites. But Amity’s income and survival hinges on the money made from tourists visiting their beaches, so the locals don’t want to hear about closing the beach for safety. But as people keep on getting hurt, something needs to give. 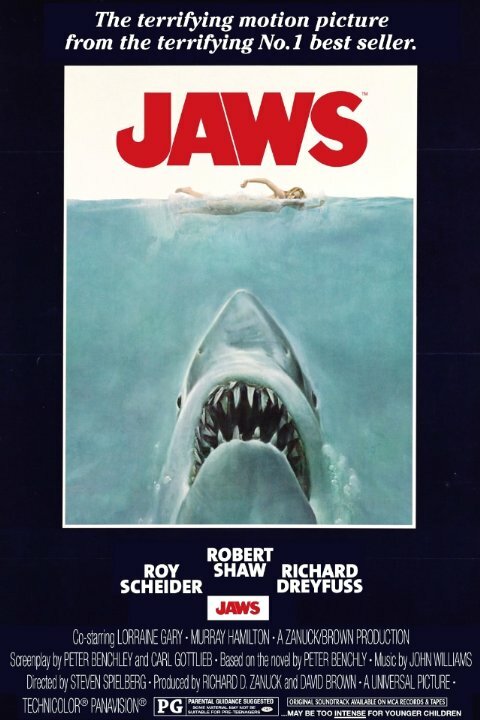 Finally, Brody decides to hunt the shark down himself, together with marine biologist Hooper (Richard Dreyfuss) and under the leadership of veteran fisherman Quint (Robert Shaw). I hadn’t seen Jaws since I was a kid and it was both more gruesome and funnier than I remembered it ot be. In any case, it was excellent. 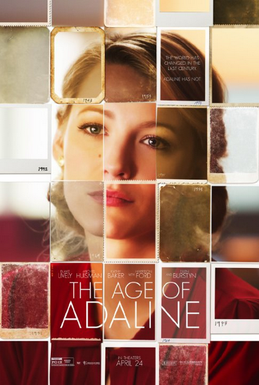 After an accident Adaline (Blake Lively) has stopped aging. Fearing experiments done on her and persecution, she spent her life hiding and running so that nobody will notice that fact. Only her daughter Flemming (Ellen Burstyn), who by now looks like Adaline’s grandmother, knows the truth. But then Adaline meets Ellis (Michiel Huisman). He’s good-looking, charming, nice and rich, and has fallen head over heels for Adaline. She will now have to decide: does she keep running or does she risk people really getting to know her. The Age of Adaline is just as cheesy as it looks and sounds – and very nice in all that kitsch. 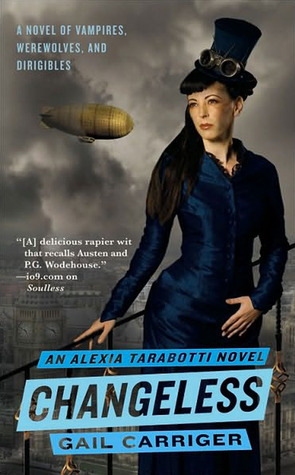 Changeless is the second novel in the Parasol Protectorate series by Gail Carriger. Alexia Tarabotti, now Lady Maccon and muhjah to the Queen, has a lot on her plate: apart from the army camping on her grounds and her husband Conall disappearing at weird hours of the day, there is also a curse affecting parts of London where all supernatural occurences just stop. Conall has to suddenly leave to go back to his old pack in Scotland. As Alexia’s investigations lead her in the same direction, she decides to follow him, though she didn’t plan on being accompanied by her sister Felicity, her best friend Ivy, the werewolf claviger Tunstell, her maid Angelique and the inventor Genevieve Lefoux who upgraded her parasol for her. But there they all are on the dirigible on the trail of mystery. Changeless got rid of most of the stumbling stones the first novel had for me and I liked Alexia even more this time. I’d call that a full success. Quinn’s (Stefanie Scott) mother recently died and Quinn is unwilling to let go. She believes that her mother is still around somewhere, so she goes to psychic Elise (Lin Shaye) in an attempt to contact her. Despite Elise retiring recently, she agrees to give it a try. But something goes wrong: something comes back with Quinn to her bedroom and attacks her, causing serious injury. After Quinn tells him what happened, her father (Dermot Mulroney) goes back to Elise to beg for her help. 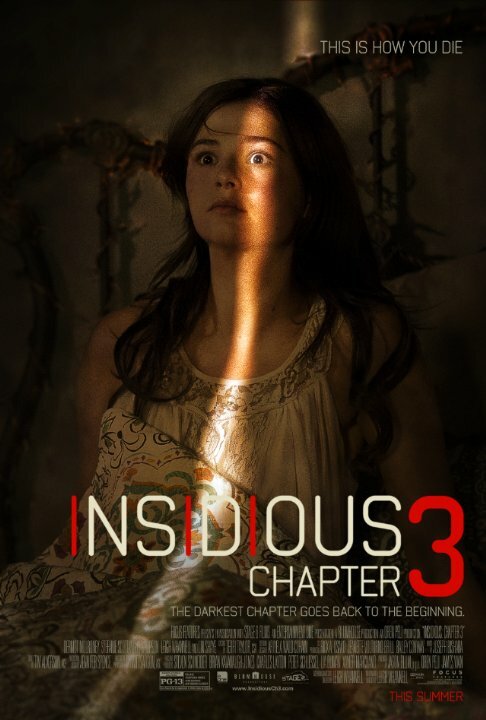 Whenever Insidious 3 is a prequel, it’s really great. But whenever it tries to be its own film, it falls a little falt. Nevertheless it is still a very much above average horror movie. 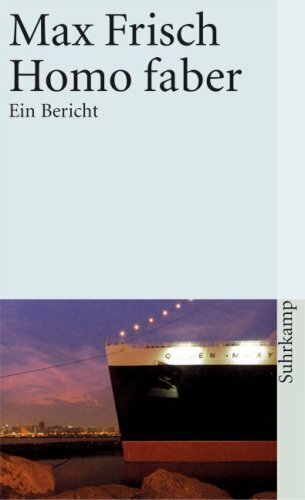 Homo Faber is a novel by Max Frisch. Walter Faber is an engineer working for UNESCO and is en route to Latin America for a work project. When his plane has to do an emergency landing in the desert and he meets the brother of an old friend there, it is only the first of a series of coincidences that start to shake Walter’s belief in a rational, technocratic world and ultimately lead him to a young woman not even half his age, Sabeth, with whom he falls in love. But doom is not far away. Despite many good qualities, Homo Faber feels longer than it is and I never really connected with Walter or any of the other characters in it. After what happened in their home, the Lambert family decide to stay a while with Josh’s (Patrick Wilson) mother Lorraine (Barbara Hershey). But that home brings up memories from the first time Josh was confronted with the Black Bride and Lorraine had to ask Elise (Lin Shaye) and Carl (Stve Coulter) for help. Maybe that’s the reason why Josh is behaving so weirdly. Or maybe there is more to it. 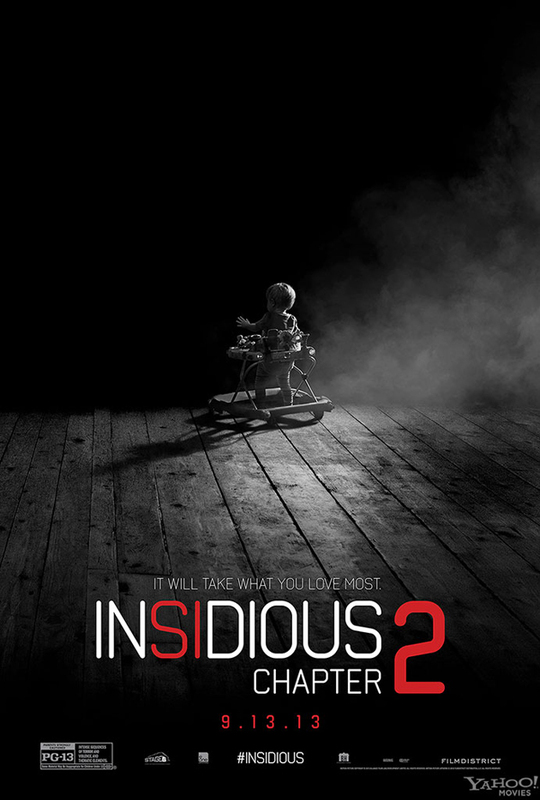 Insidious: Chapter 2 might not be quite as good as the first film, but the difference between the two is so small, it almost disappears entirely. Josh (Patrick Wilson) and Renai (Rose Byrne) just moved into a new house with their three kids. Their lives are quite normal, their marriage not perfect but mostly well. But then Renai starts to hear and see weird things in the house. 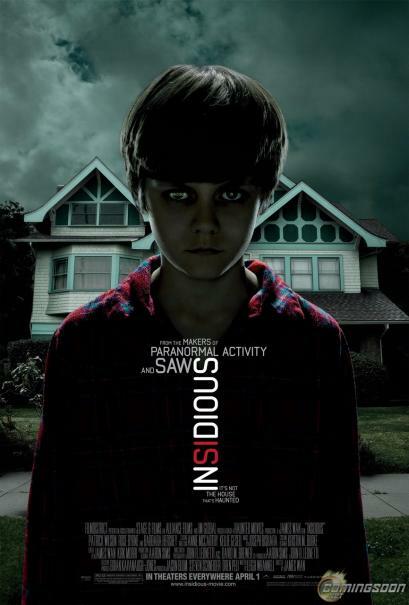 After that their son Dalton (Ty Simpkins) falls into a coma – one day he just doesn’t wake up anymore, for no apparent reason. And that’s when the bad things really start to happen. Way back when I saw the film for the fist time, I was surprised by how much it scared me. Watching it a second time, I didn’t think that it would manage the feat again, but I was wrong. Oh boy, was I ever. Still getting goosebumps about it.